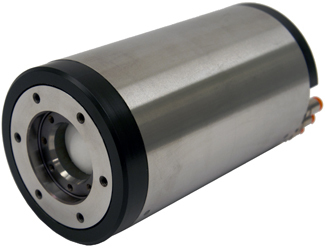 Seagull's High Capacity Air Bearing Spindle blends strength and beauty in combining stronger/stiffer air films that are used efficiently to support demanding applications including servo writing with twenty or more disks. A zero cogging motor and the capability of 30,000 RPM provides shorter processing times and higher throughput. Please refer to the Seagull white paper for additional information and testing results.